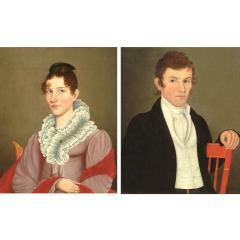 Where portraits can be historical and expressions of charm or expertise, figure painting examines the human form. 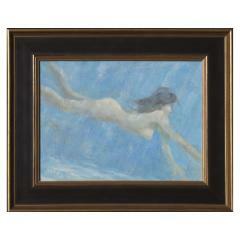 Capturing form in motion can successfully express emotion and the beauty of the human figure. If you do not find a figure or portrait painting you are looking for, please call or email, we may not have cataloged it yet." 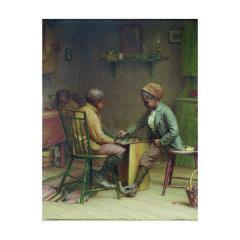 Known for his detailed and insightful figurative works, this highly desirable painting of two boys playing checkers is characteristic of his best works. In the lower right, the painting is signed, dated and titled on verso. In addition it has exhibition labels. Paul King, a well-known impressionist hailing from New York and Pennsylvania, had a unique and lush impressionistic style to his work. 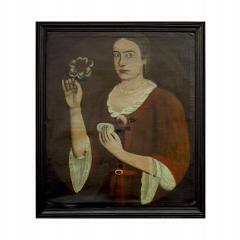 This painting was likely executed while in Nova Scotia, a place he often visited. It is signed on the lower left. 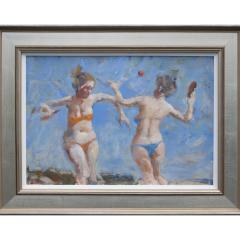 Zoning out on the beach you see a lot of paddleball; but again only the thought not visual really, informed this work. As it took shape, I found myself channeling the work of Grigory Gluckmann (1898-1959) a little-known (but just try to buy one!!) painter of misty, poetic figures. The painter Thomas Wilmer Dewing (1851 – 1938) often depicts elegant yet distant women, their gaze averted, shrouded in a mysterious haze that follows them everywhere – even indoors! 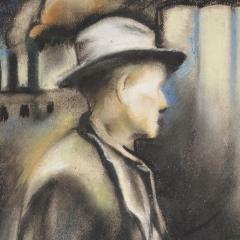 A similar misty atmosphere seems to veil this American- looking but totally imaginary wraith. Dewing would probably have loved swimming pool blue. A vibrant and exceptional example of the work of Edmund Henry Osthaus (1858-1928). 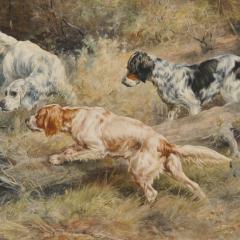 Osthaus, one of the most desirable sporting painters, painted this illustration of three dogs in the hunt.